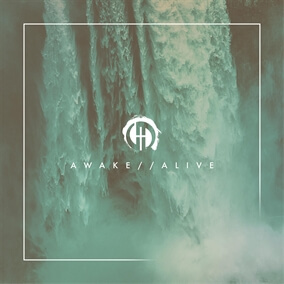 Awake // Alive is the first studio/live recording from First Free Music, a worship arts collective of songwriters, musicians, worship leaders, and creatives founded out of First Free Church in Onalaska, WI. The album features 11 new songs that First Free Music hopes will draw people closer to the Father and inspire others to dig deeper into seeking Jesus with wholehearted abandon. This is reflected from lyrics in the title track “Wake up O sleeper, arise from the grave, the Father is calling out your name.” Worship leader Aaron Luttenegger shares, “Wake up, snap out of it! I think God is calling us to more than sitting on the fence or disqualifying ourselves, and because His strength is in us, He never intended for us to do things halfway. We’ve been equipped with this freedom the moment we put our faith and trust in Jesus. We want to be constantly seeking, digging, and yearning for more of this abundance, because that’s what we’ve been given in Christ." We are excited to feature Awake // Alive this week as our Indie Showcase and encourage you to download your copy of the album today on iTunes.